Do you need a Tree Service in Northern New York? 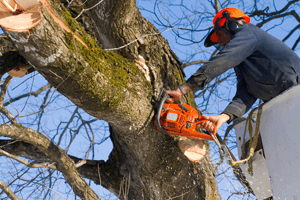 Black River Tree Removal Service has the expertise to get the job done. Working with a wide variety of clients – individual homeowners, commercial, businesses to government and civic organizations – we can offer the right solutions to address your tree care needs. We are experts in tree removal watertown NY. After a tree is removed, you have two options – stump flushing or stump grinding. Our team of experts can flush the stump as low to the ground as possible. 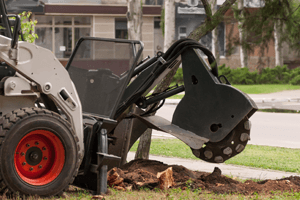 When you hire Black River Tree Removal, LLC , we can include tree chipping in the price quote associated with yout other services or as a stand alone quote. For those of us who love trees, tree removal watertown can be an unpleasant word. However, as responsible urban foresters, we understand that the need to remove a tree is sometimes inevitable. Age, stability, lean, safety, and proximity to structure are all considerations that need to be taken into account when analyzing trees needing to be removed. Once the decision has been made to remove a tree, next comes the hard part – how to safely remove it. Based on the layout of your property, we will create the best course of action to safely remove your tree with as little impact as possible to the surrounding area. Please contact the main office at 315-773-4509 if you are interested to learn more about our tree removal services. I am a service member who purchased a home near the Fort Drum area (2013). I was eager to find a tree removal company (then) and I am glad a simple key word search referred me to Mr. Tim Percy, Black River Tree Removal. Upon a free estimate and a site survey, we agreed to get several tree's, stump concrete, and an old fence wrapped in vines [removed]---which were nearly impossible to rip out on my own. Nevertheless, Mr. Tim Percy completed the job, adequately and diligently. [Fast forward] to this year and I inquired his services again---get a set of old trees removed for the safety of my children. And what a stellar job he did!!! When this project was complete, I was ecstatic about the services performed; tear down, revamp, and clean up! I have paid contractors in the past (REGRET) and although the owners/project managers were on the job, the job was unsatisfactory... so having seen Mr. Tim Percy's work, I had to refer! What more can I say? Mr. Tim Percy is utterly professional; diligent, tenacious, hard-working, and best of all... he leads from the front! You will see him out there in-charge and uses his discretion to consider others like the neighbors; which is a peace of mind for me and a total win for him (at that) for going above and beyond. Highly recommend! We were so happy to have crossed paths with Black River Tree Removal. The whole team were professional, hard working and polite. In the aftermath of Hurricane Sandy we had two giant oaks damaged in the storm that needed to be cut down, removed and the stumps ground. The team worked effectively and efficiently and left our garden clean and free from any debris. 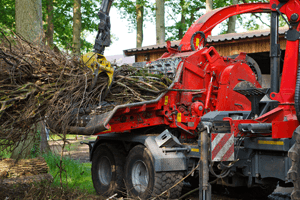 When a lot of tree companies were taking advantage of a bad situation giving outrageous quotes Black River Tree Removal offered the work to be done at a very fair price. The owner Tim Percy was on site and working throughout the whole process and was a pleasure to deal with. They certainly are a 5 star company and I wouldn't hesitate to recommend them.